3. Creepy Cross Rails Open@ 18"
7. Boo-ginning Jumpers Warm UP @2'3"
8. Boo-ginning Jumpers Jr @ 2'3"
9. 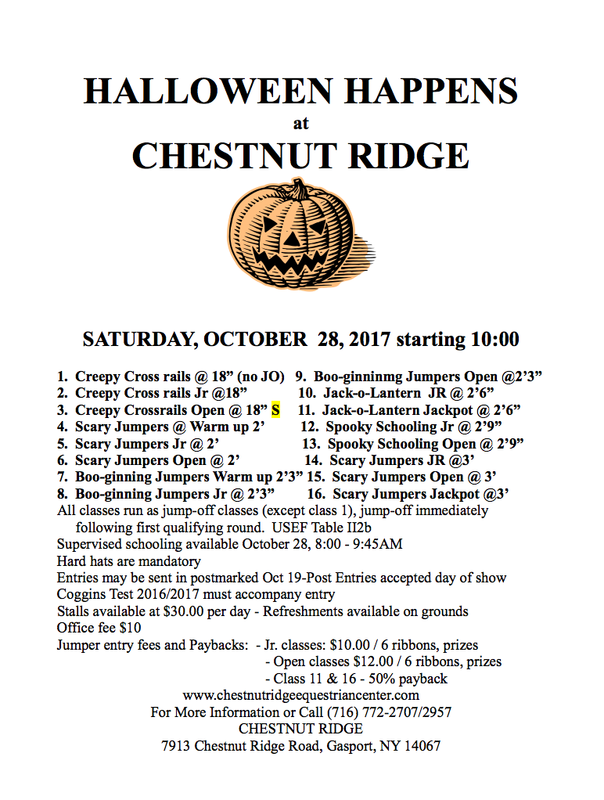 Boo-ginner Jumpers Open @ 2'3"